 This recruitment is being conducted to fill one part-time vacancy in the San Joaquin General Hospital's Case Management/Social Services Department and to create a referral list if additional part-time vacancies occur. The Clinical Social Worker II position supports the hospital's various nursing departments by serving as a liaison between the patient, hospital, family and various community services agencies. Additionally, the Clinical Social Worker II position functions as an advanced practitioner in handling the most responsible and difficult patient casework. Interviews patients and relatives to collect and compile extensive social case histories for use by medical staff in diagnosis and determination of treatment and for use by social service personnel. Participates in diagnostic and technical staff conferences with other disciplines for treatment planning; interprets recommendations to patients and families. Implements intensive social work treatment with individuals, families and/or groups; may participate in collaborative treatment with professional members of other disciplines or other agencies. Makes pre-release evaluations; evaluates suitability of environment to which the patient will be released; assists patients in adjustment to new situations. Acts as liaison among the patient, hospital, family, and community agencies; interprets patient's needs and problems; assists patients in adjustment to new situations. Participates in training programs, including the teaching of social diagnosis and treatment methods, conducted for public and private community and social agencies. May provide consultation to other disciplines regarding case histories, patient's progress, plans for patient rehabilitation and related casework activities. Maintains records; prepares reports; writes correspondence. Participates in in-service training programs; may attend seminars or participate in coursework in order to develop and/or maintain professional skills. Education: Master’s Degree from an accredited school of social work. Experience: One year of post MSW social casework experience. License: Possession of a valid California license as a Clinical Social Worker. Possession of a valid California driver’s license. Principles, practices and techniques of social casework; social and psychological aspects of physical and mental illnesses and current modern methods of treatment; social work placement methods and practices; values and standards of other health care professionals. Establish and maintain effective therapeutic relationships with patients, families, physicians, social agencies, and others; prepare clear, concise, and comprehensive social casework records; analyze data and make appropriate conclusions; recognize and differentiate psychological and social problems within the individual; select interventions appropriate to patient'’ problem; summarize and describe patient’s problems to other health professionals.